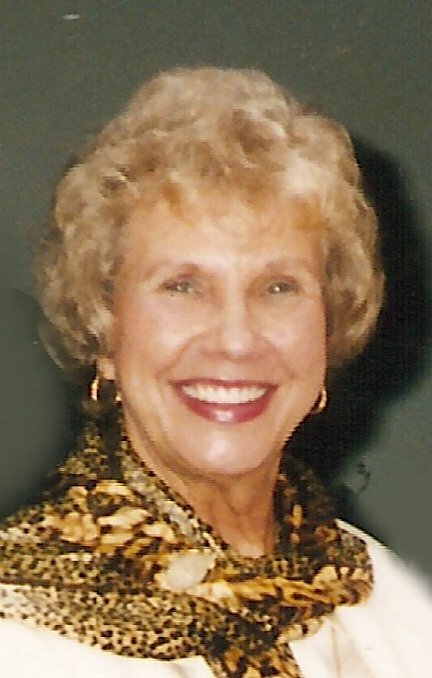 Obituary for Nancy (Ware) Ladreiter | McCombs Funeral Home Inc.
Nancy Jane Ladreiter, 83, of Jackson, passed away Sunday, January 20, 2019, at her home in Jackson. She was born November 28, 1935, in Birmingham, Alabama, to McDavid and Martha Jenkins Ware. Tragically, Nancy lost her mother at a very young age. Her father’s job required him to travel often, so Nancy’s maternal aunt, Sarah Jenkins, welcomed Nancy to her home in Jackson. Nancy was especially close to her Aunt Sarah and appreciated her new home. Nancy had a knack for remembering names and how folks were related, so the Jackson community was a perfect fit for her. She was a 1953 graduate of Jackson High School and marched in the band. She and Rodney Ladreiter were married December 19, 1952, at New McKendree United Methodist Church in Jackson. She and Rodney were faithful members of New McKendree and Nancy was active in United Methodist Women and the Mary and Martha Circle. Nancy was a devoted wife, mother, grandmother, and homemaker. She worked in the high school cafeteria; and having a special place in her heart for children, she later operated a daycare in her home for 23 years. Loving survivors include her husband of 66 years, Rodney Ladreiter of Jackson; four children, Carole (the late Bobby) Baugh, Martha (Kenneth) Austin, Rob Ladreiter, and David Ladreiter, all of Jackson; five grandchildren, Gabe (Alicia) Baugh, Maggie (Geoff) Enders, Alex (Brittany) Austin, and Brock Austin of Jackson, and Sarah (Christian) Oldenburg of Jacksonville, Florida; seven great-grandchildren; and a brother-in-law, Terry (Pam) Ladreiter of Huntsville, Alabama. She was preceded in death by her parents, McDavid and Martha Jenkins Ware; a son-in-law, Bobby Baugh; a maternal aunt, Sarah Jenkins; father-in-law and mother-in-law, Vernon and Trula Ladreiter; and two brothers-in-law, Kenneth Wayne Ladreiter and Richard Lynn Ladreiter. Visitation is from 9 a.m. to service time, Wednesday, January 23, 2019, at McCombs Funeral Home and Cremation Center in Jackson. The funeral is at 11 a.m., Wednesday, at the funeal home, with the Rev. Jimmie Corbin and Bryan Wendling officiating. Burial will follow at Jackson City Cemetery in Jackson. Serving as pallbearers are Terry Ladreiter, Kenny, Alex, and Brock Austin, Gabe Baugh, and Geoff Enders. Memorials may take the form of contributions to the United Methodist Women of New McKendree Church or the American Parkinson Disease Association, Greater St. Louis APDA Chapter Resource Center, 1415 Elbridge Payne Road Suite 150, Chesterfield, MO 63017.